There are some interesting facts about Fukushima Nuclear Disaster, not the disaster itself, but four year after the disaster happened at Fukushima Daiichi Nuclear Power Plant. So here a nice quote from the Fukushima 2015 photographic documentary written by ARKADIUSZ PODNIESIŃSKI . Although the town is completely deserted, the traffic lights still work, and the street lamps come on in the evening. Now and again a police patrol also drives by, stopping at every red light despite the area being completely empty. 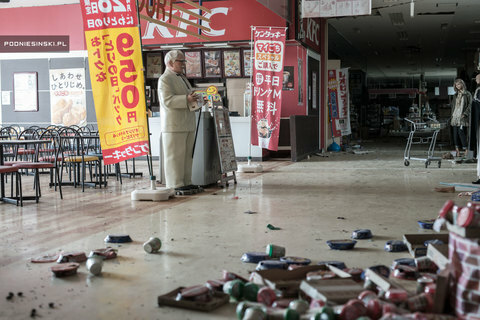 Just like the writer told in the very first paragraph, I (also) didn't think that a similar disaster could take place anywhere ever again, and certainly not in Japan.